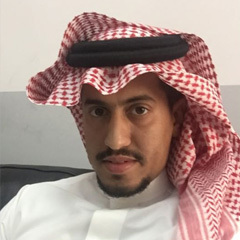 Hussain holds Bachelors of Business Administration (BBA) from Cape Breton University (CBU), Canada, and has been assuming the role of HR officer at KFUPM since 2016. He brings to the College a 14-year established track record that commenced with Armas Company Ltd. as an HR Manager (2016), Saudi Arabia School as a Principal and HR Manager (2014), Saudi Commission for Health Specialties as an Assistant Manager (2008), Saudi Railways Organization as a Dispatch Officer (2007), Dammam Development Company as an Assistant Manager (2006), and Saudi Telecom Co. (STC) as an Assistant Manager (2003-6). To grow his work expertise Hussain signed up for courses on SAP Financial Accounting, Key User (2015), SAP Financial Accounting Configuration (2015), and Monitors Progress of Trains (2007). Bachelor of Business Administration, 2015 Cape Breton University (CBU) Sydney, Nova Scotia, Canada.